Although not as dangerous as it may seem, it can be as valuable. Particularly in early-1900s Luderitz and Kolmanskop (Namibia), deserts/beaches like such spawned a diamond rush to the area. Today, all that can be found in Kolmanskop are the remnants of German-style dwellings being sandblasted by the omnipresent desert landscape [source]. 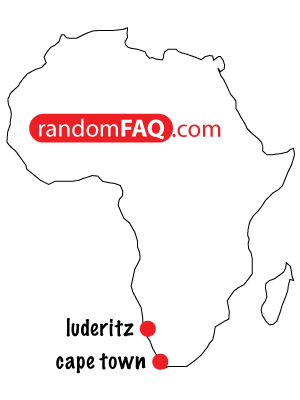 Luderitz also houses a concentration camp from the early 1900s [source] (Shark Island). The Namib Desert is on the coast and comes into contact with the Atlantic ocean. The German people were so wealthy that ridiculous amounts of freshwater was moved from Cape Town to the Namib Desert for ever-so-homey rose gardens.